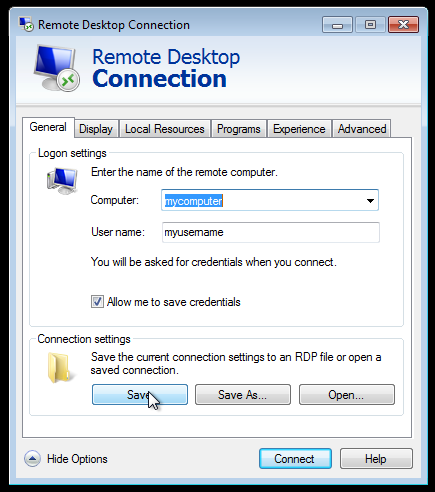 Some users need to make a remote desktop connection from their home computer or laptop to a server or workstation at the office (or the other way around). 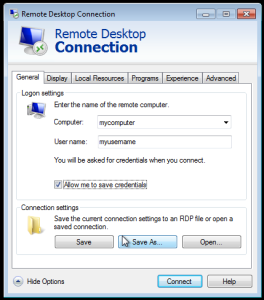 Microsoft’s Remote Desktop Connection is the best way to make a connection between two Windows computers (other ways exist to connect to/from Apple and Linux computers). Remote Desktop requires that you be able to “reach” the other computer. 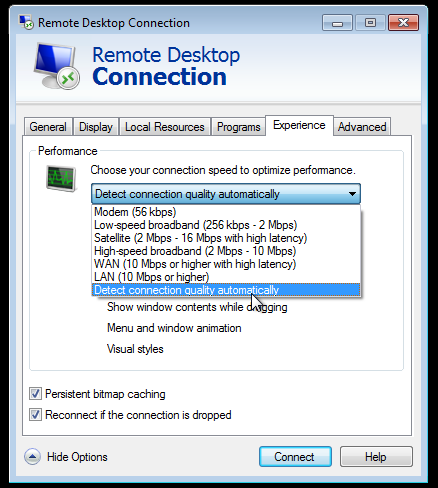 If you are not on the same network as the other computer, VPN is a good, secure way to do this. See http://smartappliances.us/products/firewall-routers/ for one way to set up a very secure VPN connection using the Smart VPN Firewall Router manufactured by Daily Data. Note, the target computer, the one you are connecting to, must have Remote Desktop enabled. In order for this to happen, it must run either the Professional (or better) version of Windows, or one of the Windows Server operating systems. 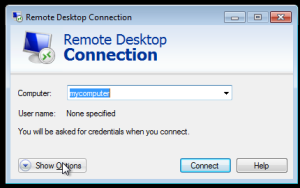 Configuring the remote computer to allow connections is not covered in this article. 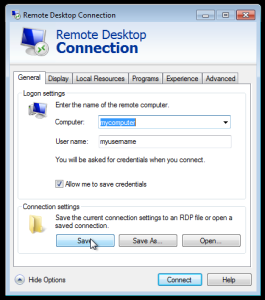 To set up a Remote Desktop connection to a remote Windows computer, do the following. Some of the steps are optional and are labeled (optional) in the instructions. 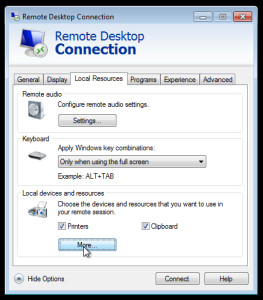 These steps create a connection configuration, storing that on your Desktop, so you can rapidly connect in the future. 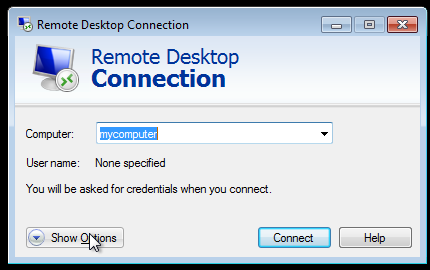 If you are only connecting one time, do the first step only and click the Connect button. 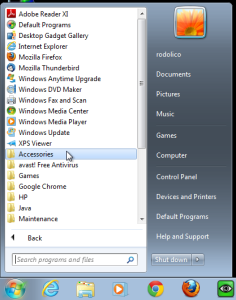 (optional) Click the Display settings tab. 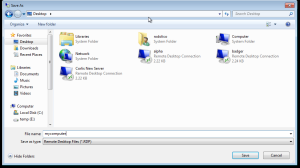 It is very handy to have the display full screen where it will take over your display. This reduces confusion. (optional)Click the Local Resources tab. 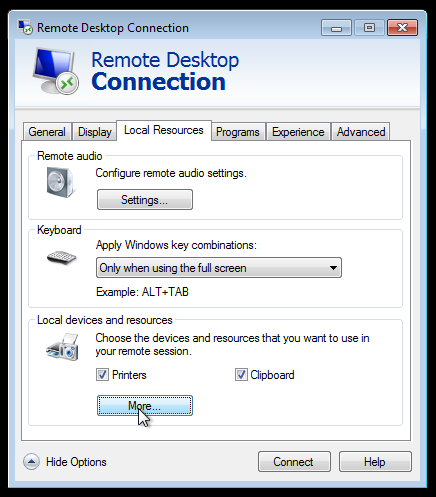 You can enable Clipboard and printer sharing, where your clipboard is shared with the remote computer, and you can print from the remote computer to any locally attached printer. After done, click the More button. 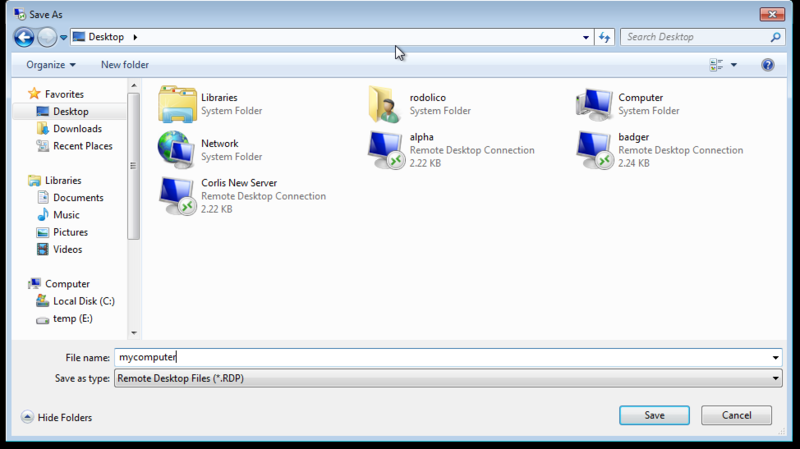 (optional)After you click the More button, you can decide whether to share your hard disks also. 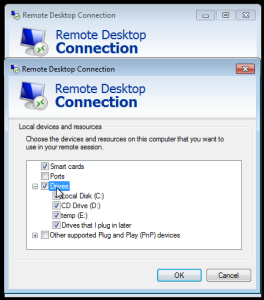 This allows you to easily copy files from the remote computer to your local computer if desired. 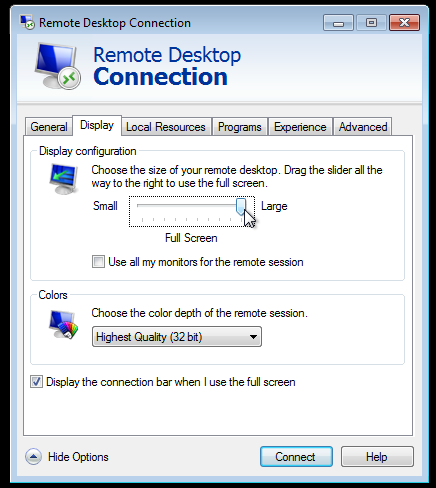 (optional)Click the Experience tab and select the type of connection you will have to the remote computer. 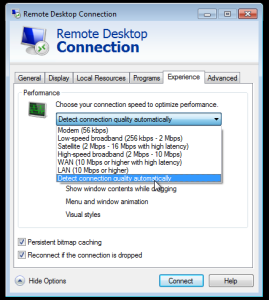 If not sure, leave it at Detect connection quality automatically. 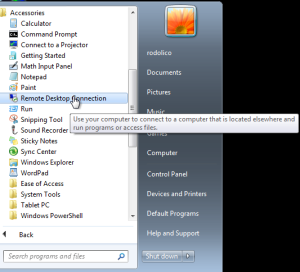 Save the configuration someplace like your desktop. Be sure and give it a good name so you can find it easily. 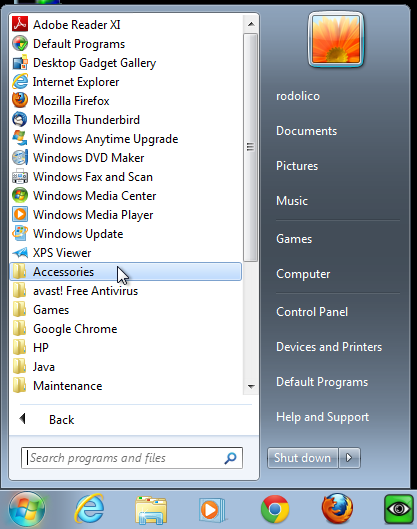 Now, find the icon you just saved (on your desktop?) and double click it. 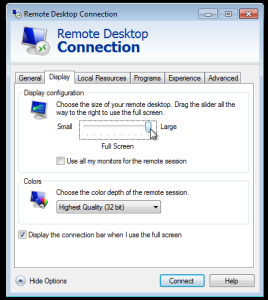 That will start your Remote Desktop session.